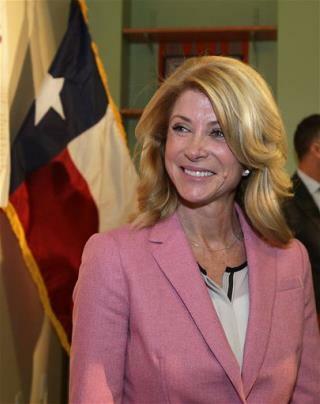 (Newser) – Wendy Davis may have become famous by filibustering a law that would ban abortions after 20 weeks, but now the would-be governor tells the Dallas Morning News that she could support such a ban—if it were written correctly. Less than 0.5% of Texas' abortions occur that late, and usually those cases involve fetal abnormalities or a health risk to the mother. "I would line up with most people in Texas who would prefer that that's not something that happens outside of those two arenas," she said. There should be no abortion after the first trimester. Cold hearted woman - she is as icey cold as Hillary. Someone should ask her to be presence when a woman is having an abortion and have the scanner turned on so she sees what is happening. I don't think it would change her mind -- I think she is pure evil. Just what we need....another anti-life politician. What a selfish nation we are.